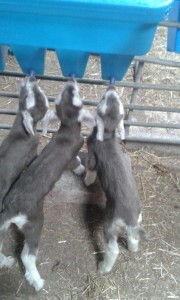 We’ve had a busy February with the first batch of goats kidding. 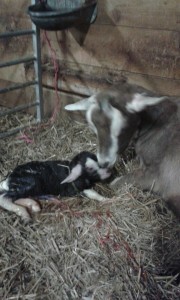 An attentive mum licking her new born kid. 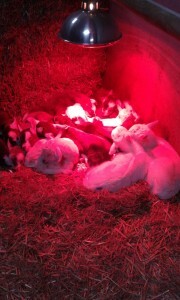 A heap of kids keeping warm under a heat lamp on that hideously wild and windy day last Monday. And 3 kids feeding from our multi-feeder. It can take a couple of goes to get the hang of it, but these 3 have sussed it out. How to become a pig farmer?